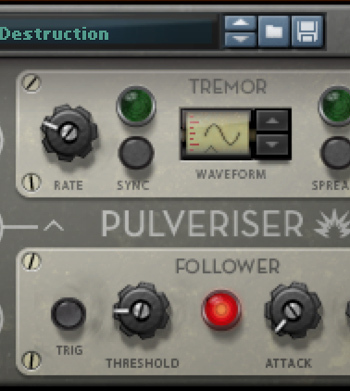 Pulveriser brings together crunchy compression, dirty distortion, a multimode filter and flexible modulation in a single sound-crunching effect. Crush, mangle, and destroy your sounds. Apply careful parallel compression to bring out the details of a sample or recording. 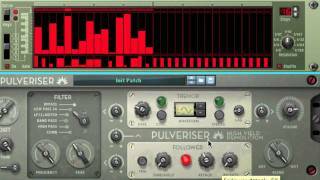 Use the envelope follower when recording live instruments for responsive, expressive filter effects. 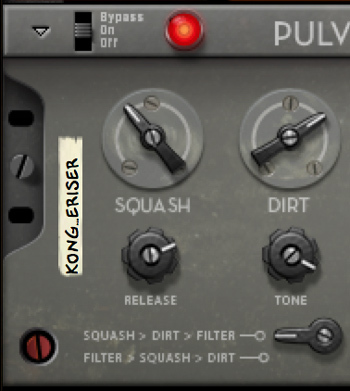 First up in Pulveriser's signal chain comes the Compression and Distortion — Squash and Dirt — controls. The Squash compressor goes from zero to eleven before you've even turned it halfway up, while Dirt is suitable for everything from adding warmth to an analog kick drum, making lead guitars gently weep, or just totally beating the crap out of your sounds. Next comes a multi-mode filter with a selectable Low Pass, Low Pass + Notch, Band Pass, High Pass, and Comb Filter setting for further processing. 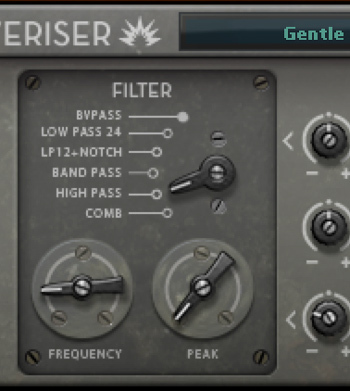 A selector lets you put the filter post the distortion in the signal chain, allowing for a soft, warm sound. 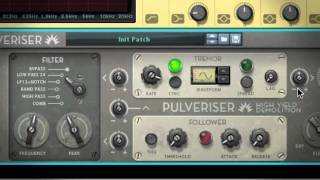 Pulveriser's Envelope Follower gives you organic playable modulation of the filter and LFO speed — while the LFO can be applied to modulate the filter, used as a stereo auto-panner, or modulate the main output level for a classic tremolo effect. 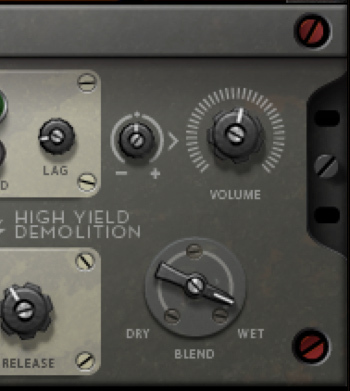 Finally, the Dry/Wet control lets you dial back on the effect signal and bring back the original sound to the mix. Great for parallel compression of drums. Awesome for adding subtle grit and movement to any sound.